It is our pleasure to announce the launching of the 29th edition of the International Festival of Satirical Graphics and Humoristic Literature HUMOUR AT….GURA HUMORULUI, and to invite you to be part to this event. The period the festival will take place is between July, 06 to July, 07, 2019 and the theme of this edition is SPLIT. The deadline for sending the cartoons for the satirical graphics section is June, 10st, 2019. You will find attached to this email the submission form and the regulations of the festival. We would be very grateful and honoured if you could redirect the information about the festival on the communication and socialising networks you use. Thank you for your interest and looking forward to having you as a guest! 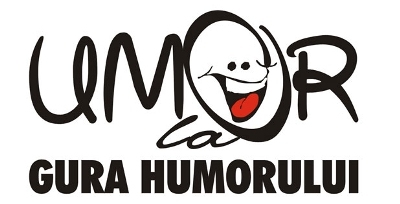 The 29nd edition of Humour at ... Gura Humorului, the International Festival of Cartoon and Humorous Literature will be held between July, 05 – July, 07, 2019. 3. Each participant will submit two ( 2 )cartoons to be analysed by the jury. 4. The works will be submitted by JUNE, 10th, 2019(posting date) on the following addresses: email: umorlahumor@gmail.com or postal address: Muzeul Obiceiurilor Populare din Bucovina, Piaţa Republicii, nr. 2, 725300 - Gura Humorului, judeţul Suceava, România. 8. The prizewinners will be notified by June, 30th, 2019 to be present for the Awards Festivity held on Sunday, July, 07th, 2019.